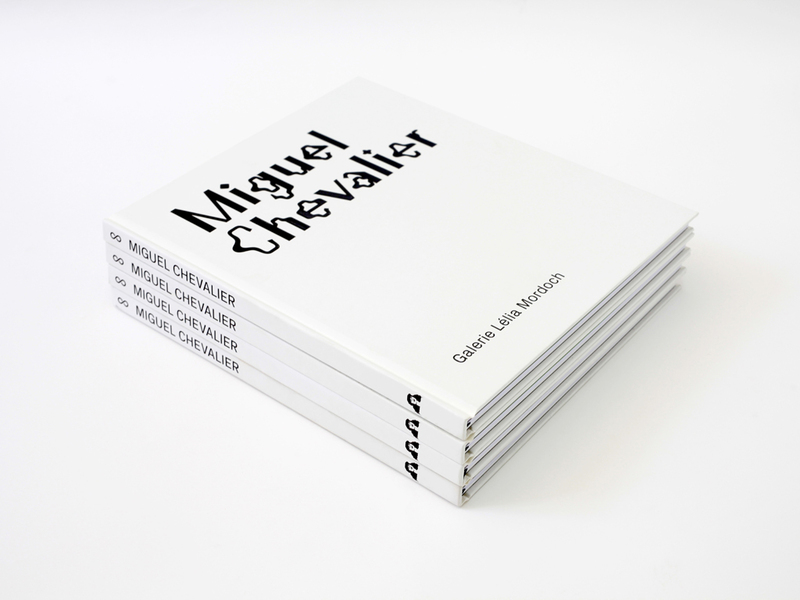 We design an art book for the French digital and pixel artist Miguel Chevalier, where we transform his colorful art pieces in radical bitmap images in black and white. 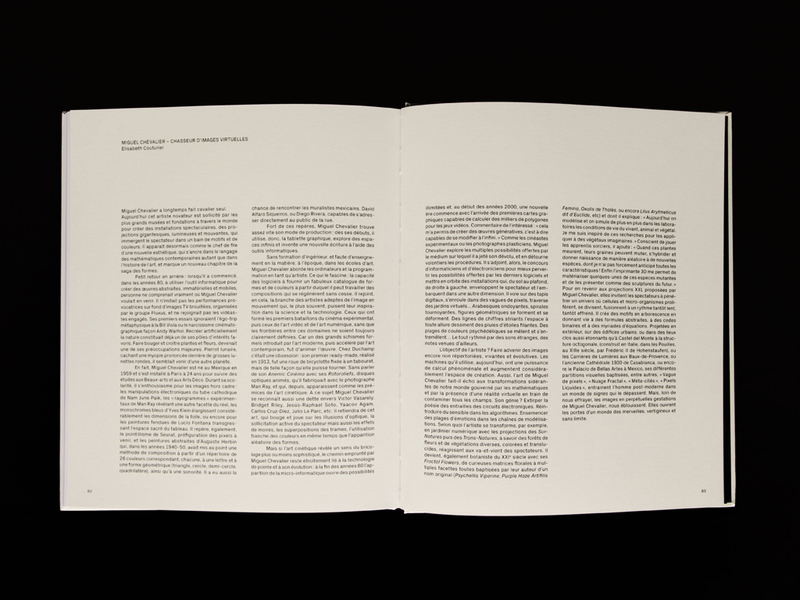 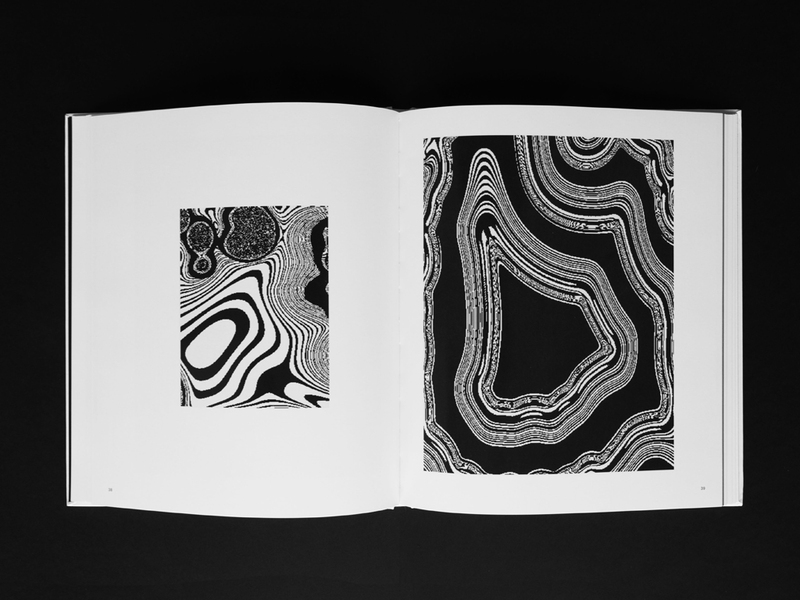 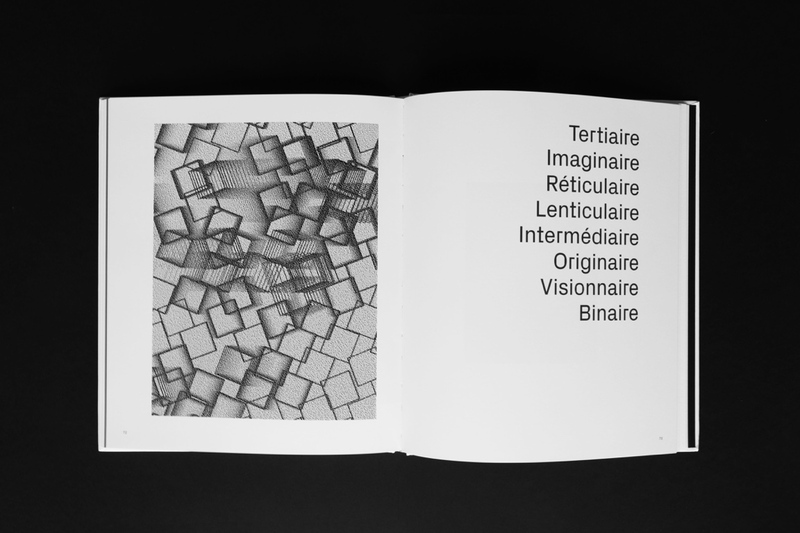 The book is made only by images extracted from the algorithms of the artist, without showing the context. 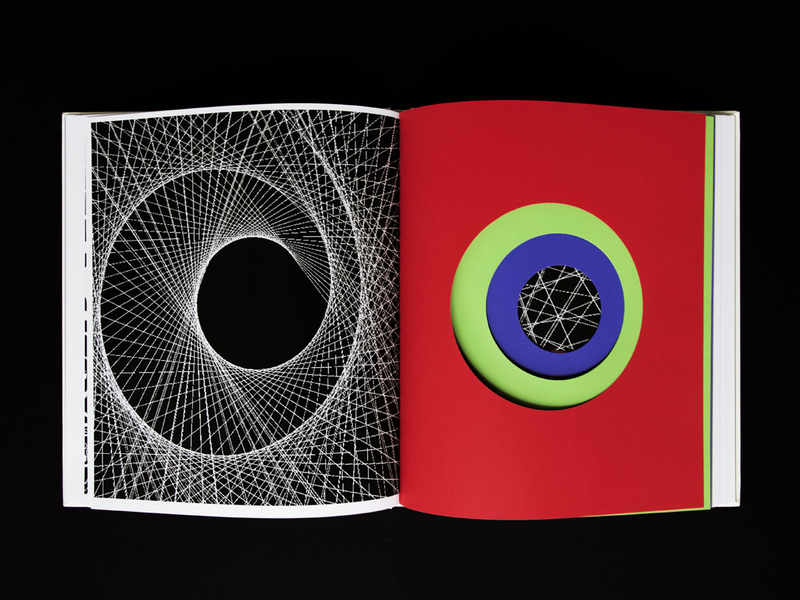 It is a pixel book made by 1 869 988 032 pixels.